This easy-to-grow plant produces very large berries for your garden. Sugar Mountain Eisbar is adaptable to most moist, well-drained soils. Water regularly, especially when first planted. Apply a controlled-release fertilizer in spring. Pruning is generally not needed, but established plants may be thinned up to 25% in late winter/early spring. This high yielding selection produces very big fruit – up to 1.5″ long and 0.5″ wide. 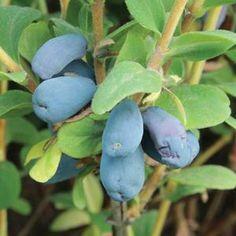 Use as a companion plant to Sugar Mountain® Blue for improved fruiting.